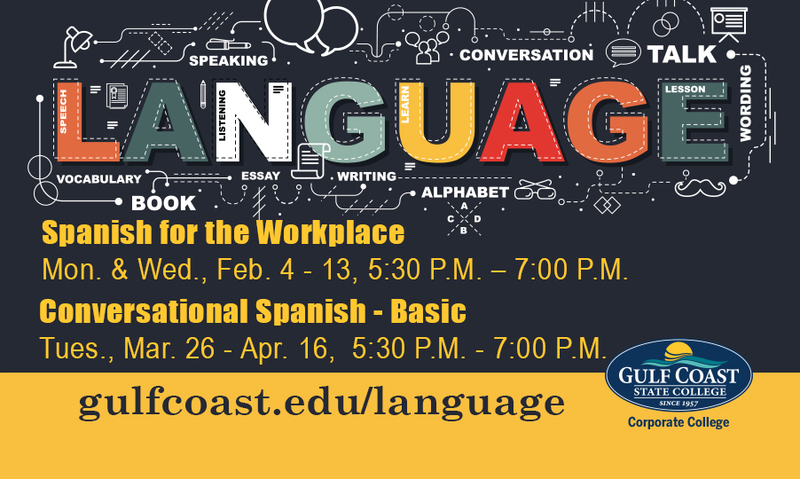 This course provides the knowledge vocabulary and linguistic structures necessary for students to use Spanish immediately in a workplace environment. The course will include oral practice of dialogue, vocabulary and basic grammar to communicate in Spanish at a basic level. Mon. & Wed., Feb. 4 – 13, 5:30 P.M. – 7:00 P.M.